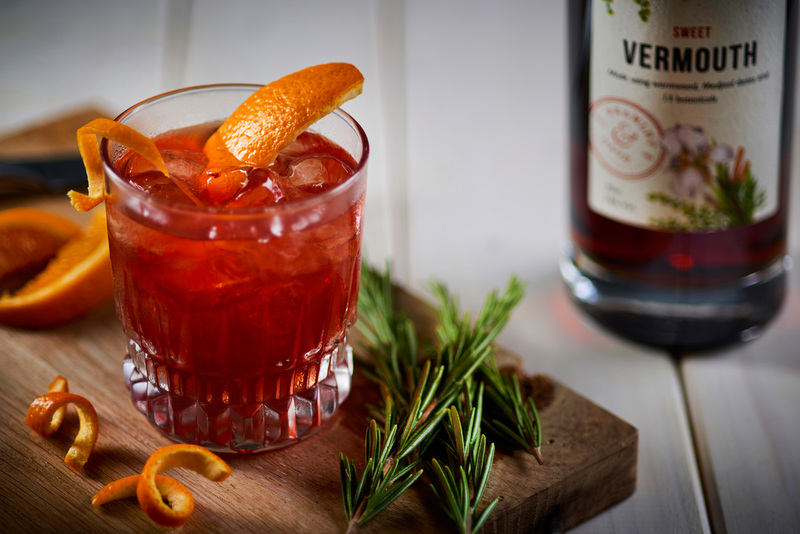 Made using wormwood, Medjool dates and 11 other botanicals, our Sweet Vermouth is carefully crafted to have a distinctive, sweet aromatic flavour. When combined with 6 O’clock gin it makes a super smooth cocktail that releases the herbal notes from the thyme and rosemary grown less than a mile from the distillery. Fill a low glass with plenty of ice and combine your ingredients. Stir slowly 6 times to combine the flavours – we’ll leave it up to you to if you stir clockwise or anticlockwise!